As you might already expect, modern interior design is a versatile design that can be applied anywhere in your home, including the living room. A home will not complete without living room. When you step into your neighborhood home, you will be greeted at the living room. Living room is also a place where you welcome your guests. It is important to make your living room looks impressive, since it is the first place you want to introduce your home to the guest. Living room with modern theme is never fail to impress your guest. 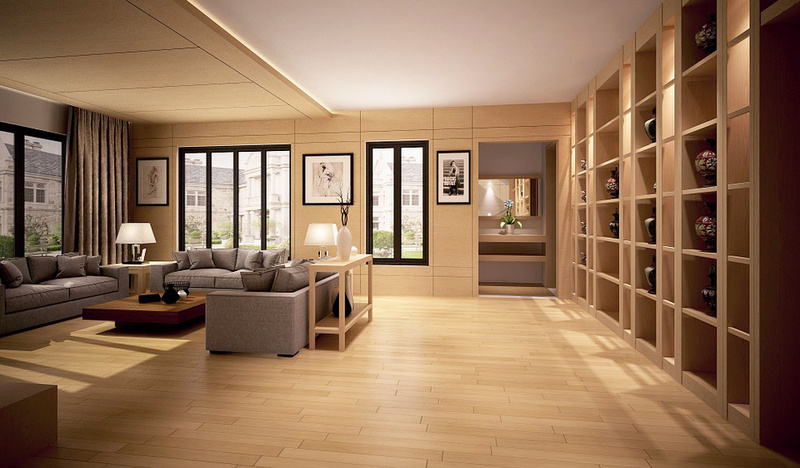 Before creating modern living room, the first thing you need to make sure is the space provided by your living room. You need to measure its dimension before you start decorating it. 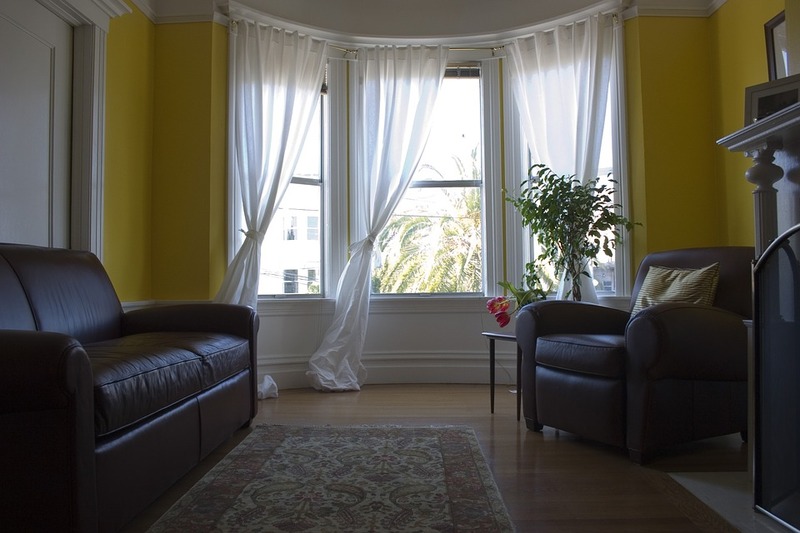 This process can be performed easier if the living room is in empty condition. Decorating spacious living room with modern theme is easier than decorating one with smaller space. In spacious living room, you can put any furniture you want easily. Meanwhile, in smaller living room, furniture placement is tricky. It does not necessarily mean that it is impossible to create modern living room if the space available is limited. You still can manage to do it. After measuring the living room dimension, the next thing you need to keep in mind when trying to add modern interior design to your living room is the color. 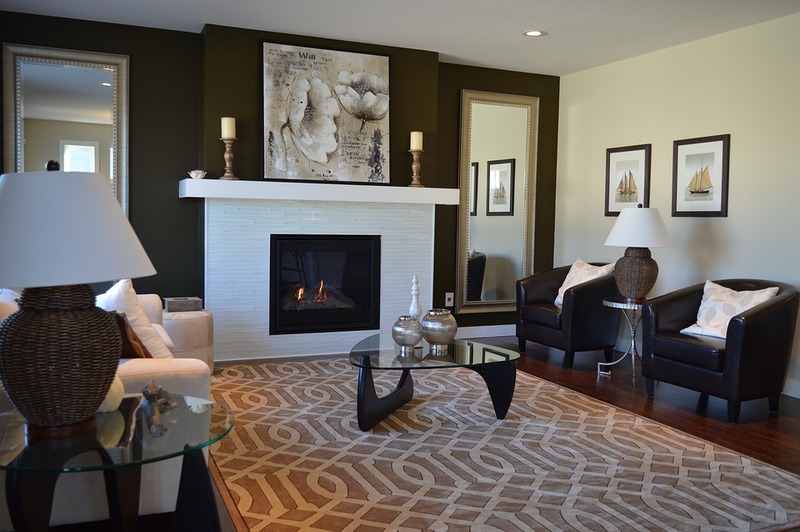 Color plays important role when you want to get modern impression from your living room. The main color is usually neutral color or tone. White and shades of gray are the best option. In order to complement the color scheme, you need to give it color splash. The color splash will be your secondary color. Furniture option is also important to create modern impression. In the modern interior design, the furniture has distinctive characteristic. It has less detail than conventional furniture you normally use in living room with different interior theme. 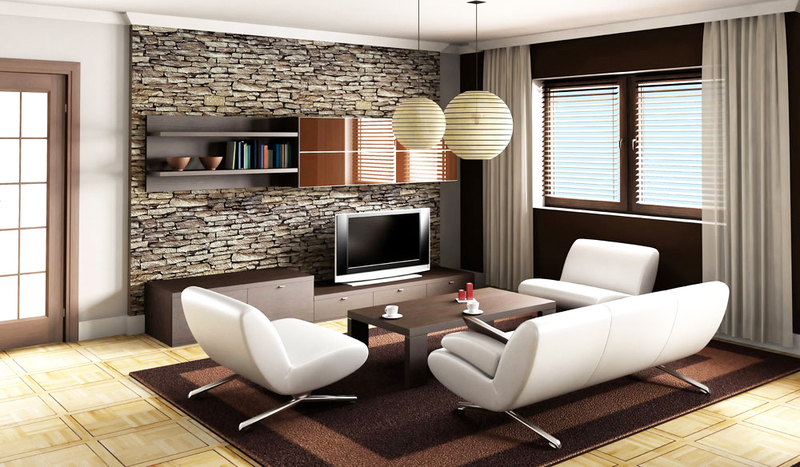 Most furniture pieces used in modern living room are using minimalistic style. Keep in mind that color scheme discussed previously also applies on the furniture as well. Be wise when selecting the furniture for your living room. If you choose it poorly, the living room will not appear to be modern, as you want it to be. 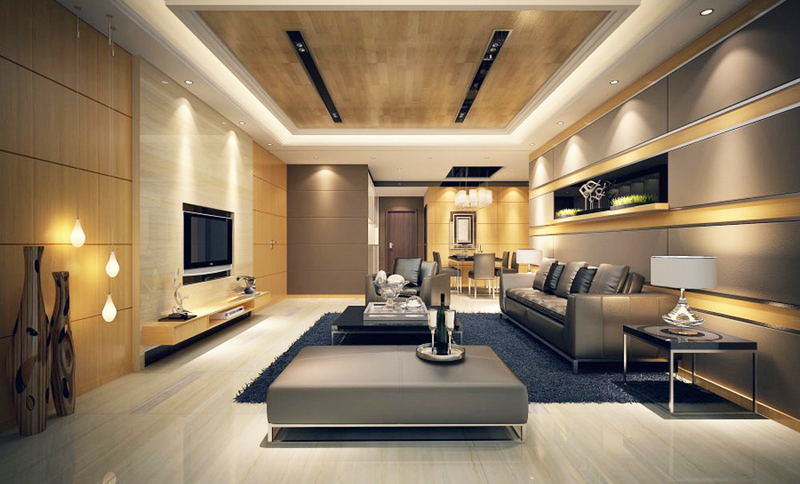 Since you already choose the color and furniture for your living room, you also need to consider the lighting system. Chandelier is not an option for modern interior design. It has too many details for a modern living room. However, many leading interior designers are able manage creating modern theme by using chandelier. They choose crystal chandelier and put it in the center of the living room. 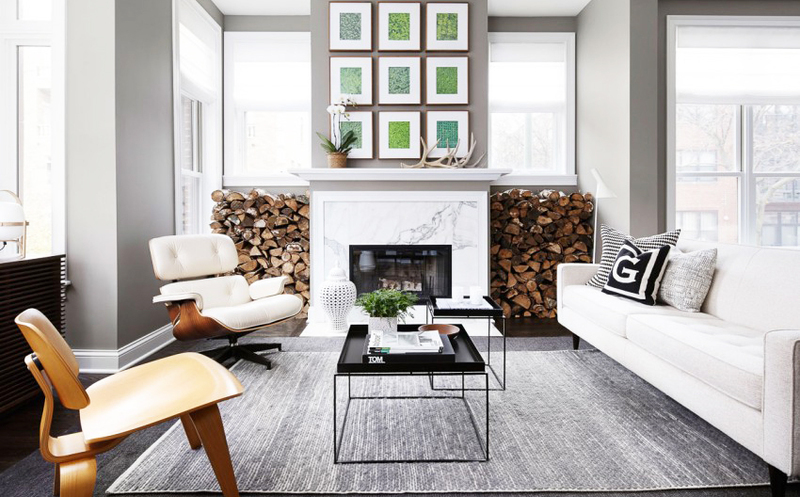 The rest of the living room is dominated with white color option. What you need to know about designing modern living room is now complete. 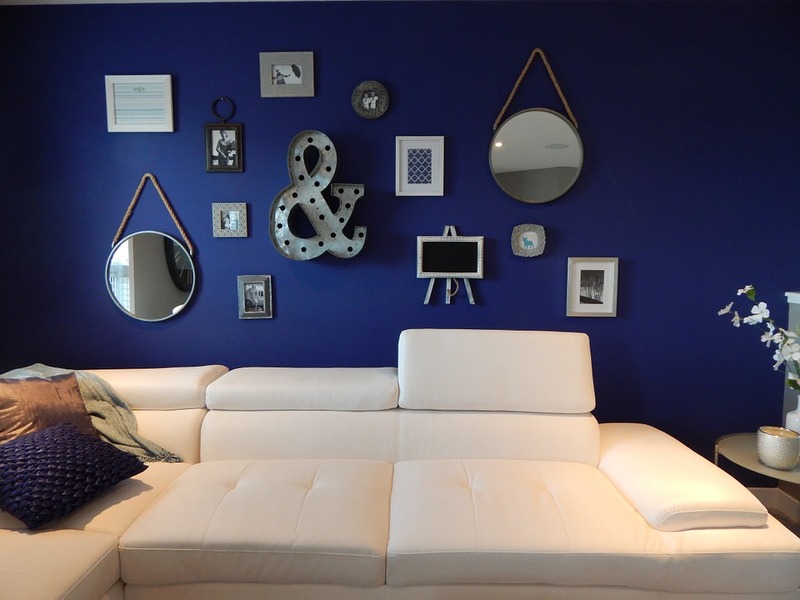 The last thing you need to do is arranging the living room element. Do not pack the living room space with too many furniture pieces. Living room with modern impression always has spared room. 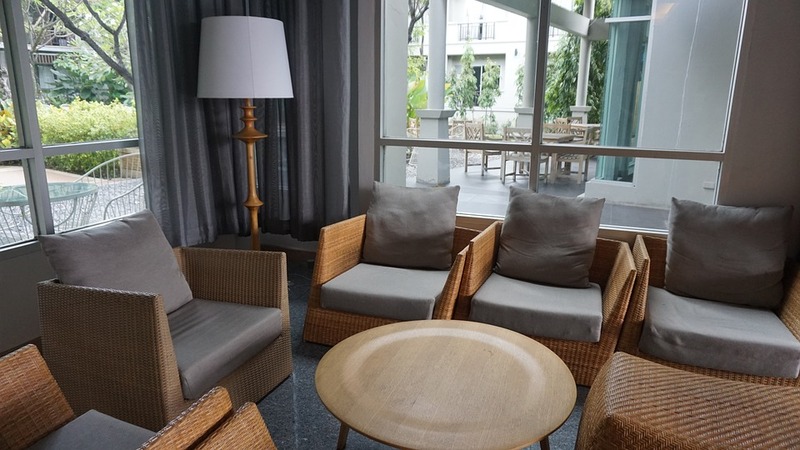 If you decided to use floor lamps for the living room modern interior design, it is advisable to put it next to the important furniture such as couch or sofa.